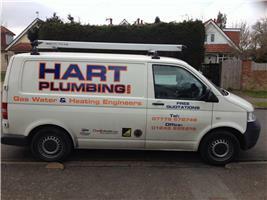 Hart Plumbing Limited - Central Heating Engineer, Plumber based in Middleton On Sea, West Sussex. Hart Plumbing Limited are a trusted, professional company dedicated to the highest standards in every aspect of performance, with over 20 years’ experience in the trade. We are based in Bognor Regis and cover all of the West Sussex area..
We can undertake all your Plumbing and Heating work and as we are Gas Safe Registered registered and we are Worcestor Bosch member. Our service provides the safest solutions and the highest quality standard of work. Please feel free to contact us with a query or for friendly, professional advice on all your plumbing and heating requirements.